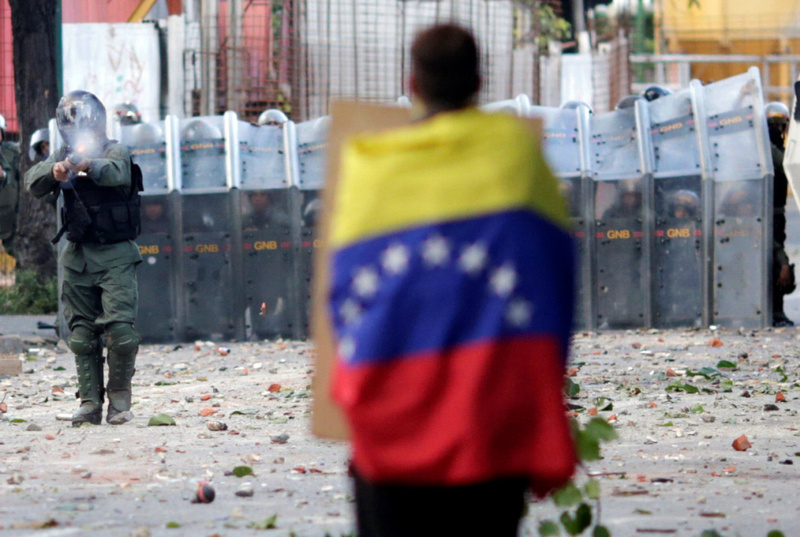 Multilateral organizations, including the United Nations Office of the High Commissioner for Human Rights (OHCHR), UNICEF, Inter-American Commission on Human Rights, and Global Fund, have expressed strong concern about the deteriorating health situation in Venezuela. The OHCHR states that there are widespread shortages of food, medicines, and basic medical supplies. Last year, 30% of all malaria cases reported in the Americas were found in Venezuela even though the disease had been eradicated from most areas of the country in 1961. Tragically, the New York Times reported that nearly 400 children died of starvation and dehydration in 2017, while thousands of others suffered from malnutrition. Meanwhile, these dire conditions have pushed Venezuelans to seek refuge in other countries. The UN High Commissioner for Refugees (UNHCR) has confirmed that approximately 133,000 Venezuelans sought asylum in neighboring countries, while 363,000 others have pursued other legal alternatives to temporarily resettle abroad. Other reports have estimated the actual number of Venezuelans who have left to be much higher. Newsweek reported that a tenth of Venezuela’s population, or 3 million people, have left the country. The largest numbers of Venezuelans have fled to Colombia, which shares a 1,400 mile border with Venezuela. As of December 2017, Colombian immigration officials stated there were 550,000 people from Venezuela currently living in Colombia. The BBC has reported that 126,000 Venezuelans already have legal permission to live in Colombia and this number includes 69,000 people who benefitted from a new humanitarian visa introduced in July 2017. According to The Economist, “Colombia is trying to balance border control with compassion for the people fleeing a country where inflation is expected to reach 13,000% this year and the economy will shrink by 15%.” Nevertheless, Colombia is unable to meet the needs of the refugees on its own and has called for more international support. In response, Secretary General Antonio Guterres said the UN was willing to send more aid to Colombia. Last month, UNHCR opened a third office along the Colombia-Venezuela border to assist the Colombian government’s humanitarian efforts. Despite assurances of assistance, Colombia’s government is facing political pressure to address the situation, particularly ahead of the election scheduled to take place in May. In February 2018, Colombian President Juan Manuel Santos said he would institute stricter migration controls, temporarily suspend daily entry cards, and deploy 3,000 new security personnel along the border with Venezuela. In Brazil, the government of Roraima state reported that 30,000 refugees had arrived from Venezuela since 2016. In February 2018, Brazilian President Michel Temer confirmed that Brazil will not block Venezuelans from entering the country. He vowed to provide financial assistance to address the needs of refugees in Roraima and other areas. President Temer also promised to organize the flow of Venezuelans in Brazil, possibly by relocating some refugees to other Brazilian states, where they can work and re-settle. In an interview with Bloomberg News, Brazil’s Foreign Minister Aloysio Nunes said that his government expects the number of refugees crossing the border from Venezuela to Brazil to rise. Between January and October 2017, more than 100,000 Venezuelans arrived in Peru through the northern entry point in Tumbes. In response to the growing number of Venezuelans seeking refuge in Peru, the government, led by President Pedro Pablo Kuczynski, created a temporary visa that will allow thousands of Venezuelans to work and study in the country. Since it was introduced in February 2017, approximately 30,000 Venezuelans have applied for the visa. UNHCR estimates that approximately 236,000 Venezuelans fled to Ecuador between September 2016 and September 2017. According to UNHCR, Ecuador is both a destination country and transit country for the Venezuelans wishing to resettle in Chile and Peru. HRW reported that more than 1,500 Venezuelans had applied for asylum in Ecuador by September 2017. HRW also explained that Venezuelans who would like to live in Ecuador temporarily can apply for several different visas, including a special visa for citizens of UNASUR member states mandated by the 2017 Human Mobility Law that allows Venezuelans to live and work in Ecuador with minimal requirements. However, Venezuelans interviewed by HRW stated the cost of a visa can be an “insurmountable” obstacle given their limited financial resources. Despite President Nicolas Maduro’s proposal for a snap election, Venezuela’s National Electoral Council has dismissed the idea of holding legislative elections on the same day as the presidential election scheduled for April 22, 2018. In the meantime, many observers, including UNHCR, believe that Venezuelans will continue to leave. Tara Ornstein is a global health professional based in Washington D.C. Tara has researched the intersection between international migration and global health extensively. She has a Master of Public Health from New York University (NYU), where she conducted a situational analysis of TB services for labor migrants in the United States and Russia as part of her graduate studies. While at NYU, she also studied international migration during an intensive onsite course at the Universidad Popular Autónoma del Estado de Puebla in Mexico. Tara’s work has been featured in several peer-reviewed scientific journals including Public Health Action, AIDS, and Plos One among others.